A big thank you to everyone who attended Chug-Off for Charity at Great Leap Brewing on Saturday. We raised 5,000 RMB for Magic Hospital, which will continue its excellent work providing happiness to sick, orphaned, and neglected children in Beijing. The tournament featured 16 teams, but unfortunately we could only have one winner. Congratulations to Go on the Pikies, consisting of Colin (a Dubliner visiting from London) and Tiggi (from Leeds, the manager of Paddy O’Shea’s). Is This The Fastest Beer-Chug Ever? We're going to have a full recap of Saturday's Chug-Off for Charity at Great Leap Brewing in the morning, but for now, just watch this ridiculous, jaw-dropping performance from Colin of Go on the Pikies in the semifinals of our 16-team tournament. The crowd's reaction says it all: a moment of stunned silence followed by interjections of appreciation and jubilee as we process what we just witnessed. 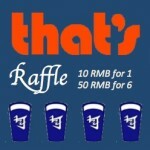 Our good friends at That's Beijing are giving us not one, not two, but five prizes to raffle away at Saturday's Chug-Off for Charity. As with the contestant fees, all proceeds are headed to Magic Hospital. 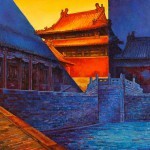 Tickets will be priced at 10 yuan, though if you buy five, we'll throw in an extra one for free. What can you win, you ask? The Chug-Off for Charity field is set. 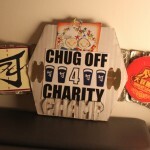 In addition to the prizes our 16 teams will be competing for, we'd like to add the above belt, which is awesome. 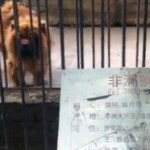 Seriously, that thing's worth at least as much as that 300 RMB Great Leap bar voucher the champ will also take home. In a perfect world, no result of any chug-off would ever be disputed. This is not that perfect world. 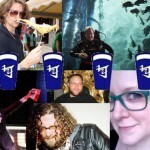 Please meet the judges of Chug-Off for Charity. 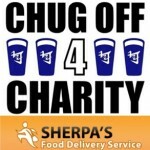 The good folks of Sherpa's -- a delivery service that brings food to your doorstep from select restaurants in Beijing, Shanghai, and Suzhou -- are joining us to help make Chug-Off for Charity memorable. All contestants -- and there are still slots available, just email tao@beijingcream.com to register -- will receive a 100 RMB Sherpa's voucher, which is, like, two free burgers, or a giant plate of chicken wings and salad, or a Pad Thai plus chicken curry. The combinations are endless. Think you're the fastest beer-chugger in Beijing? Prove it. 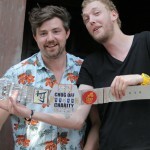 Sign up for the inaugural Beijing Cream Chug-off for Charity on Saturday, August 24 at 2 pm at the new Great Leap Brewing (between Sun City and Chunxiu Lu). All proceeds will go to Magic Hospital, a local charity that "strives to help in the healing of sick, abused, neglected and orphaned children by restoring an element of fun in their day." It's absolutely a good cause, which we'll tell you more about in the coming days. Great Leap is very generously donating all the beer that will be used at the event.